The U.S. 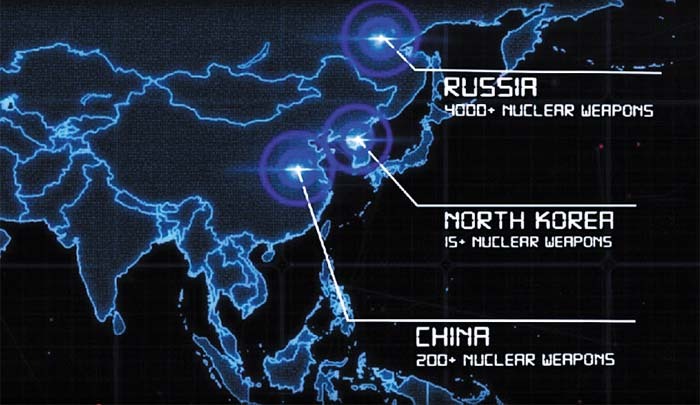 Forces Japan recently released a video that classifies North Korea alongside China and Russia as one of "three declared nuclear states" in East Asia. The move has alarmed some sticklers for official definitions, who believe that labeling the rogue nation a "nuclear state" will somehow increase its kudos. The video in question was made last December to stress the need to strengthen cooperation between Washington and Tokyo, and was posted on the website of the U.S. Indo-Pacific Command on Jan. 5. It stresses the geopolitical and economic importance of the Northeast Asian region, adding that the North has more than 15 nuclear warheads. The video describes the number of nuclear weapons held by Russia as "4,000+," China as "200+," and the North as "15+." 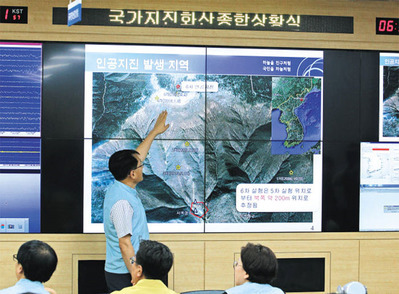 A military spokesman here said, "Mentioning the North alongside China and Russia as a declared nuclear state can send the wrong signal that the North is virtually being recognized as a nuclear state." It has long been unclear what else the North is supposed to be given that denuclearization is at the heart of negotiations with the U.S. But observers fear that the label could be the first step toward accepting that North Korea's nuclear weapons are here to stay and merely trying to reduce its means of firing them at the U.S.
U.S. Secretary of State Mike Pompeo told Fox News last week that the ultimate goal of denuclearization talks with Pyongyang lies in continuing "to decrease the risk to the American people."